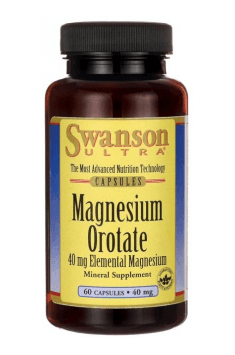 Magnesium Orotate 40mg 60 caps. Take one capsule two times per day with water. The use of magnesium is particularly recommended for people exposed to chronic stress. Stress leads to a decrease in magnesium levels, which in turn results in irritability and anxiety. Magnesium is a safe supplement and should not have any side effects when taken in the right doses. Taking too much magnesium can cause digestive problems. When taking high doses of magnesium, it is a good idea to combine it with calcium to maintain the balance between the two elements. Dietary supplement composed of hemp oil containing 4% CBD. Comprehensive health support. Universal supplement that stimulates the immune system.